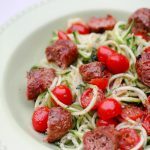 I used to love a good, challenging dinner recipe… that was 10 years ago, pre-kids, when I had hours to prep dinner on the weekends… and hours to shop for ingredients… Now I still like cooking good, fresh food but the first thing I look for in a new recipe is how few ingredients it has! It makes cooking the meal easier but also shopping for it. When I grocery shop with all 4 kids in tow, the fewer the ingredients, the less likely I am going to forget ingredients and the quicker the shopping trip. 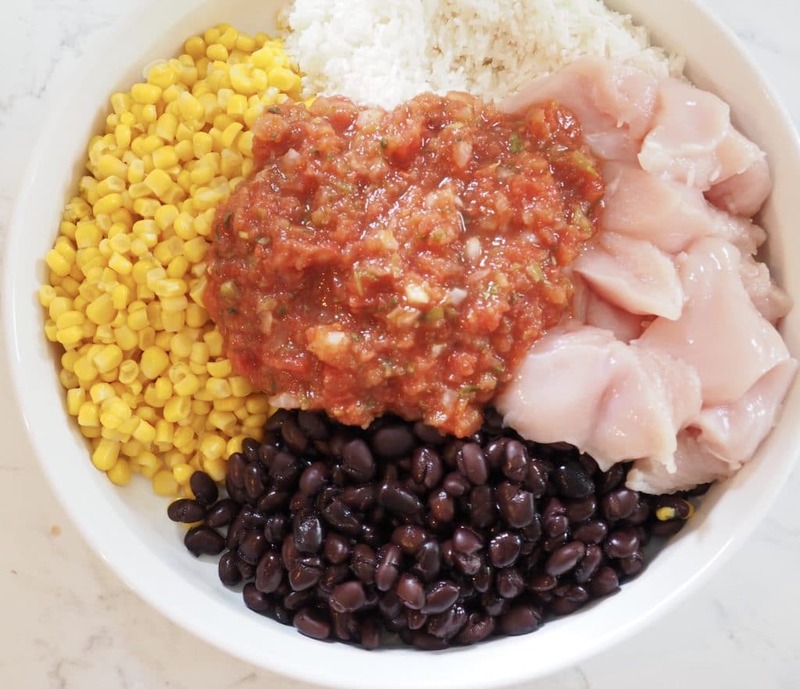 That’s how I came up with this 5 ingredient salsa chicken. 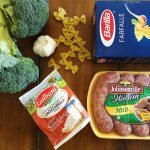 These are actually all ingredients we often have in our house anyway, so it’s a good recipe to have on hand. 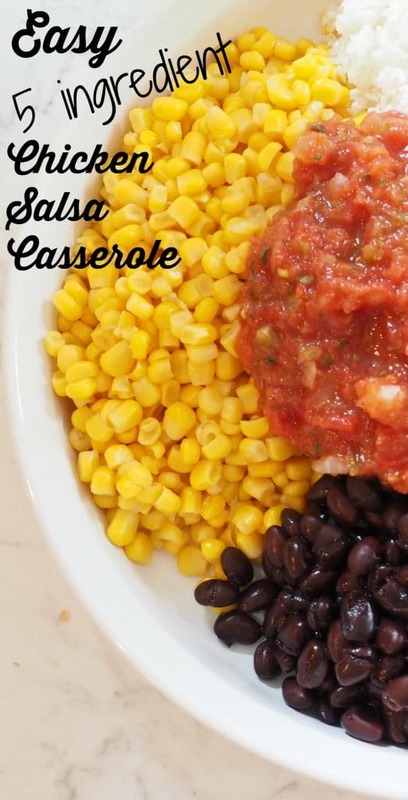 I have made the recipe with a few salsas before but it is by far the best with fresh salsa. 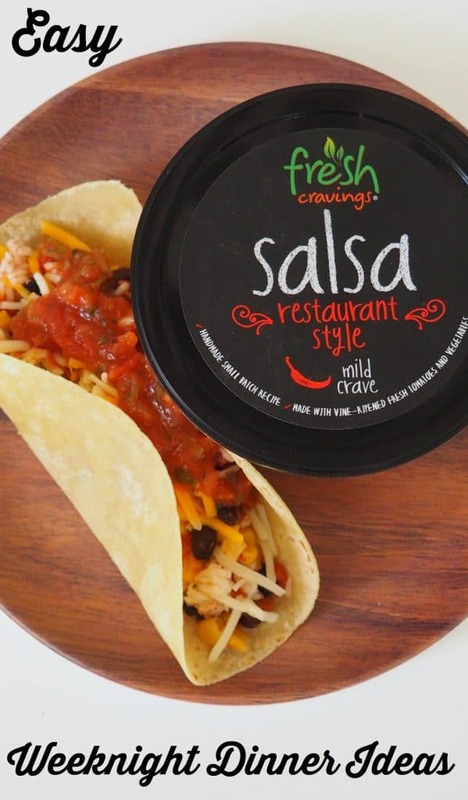 I recently discovered Fresh Cravings Salsa and it’s a new staple in our refrigerator. 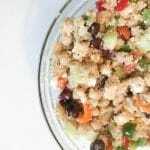 I use it for this recipe, other recipes and also for chips and salsa. 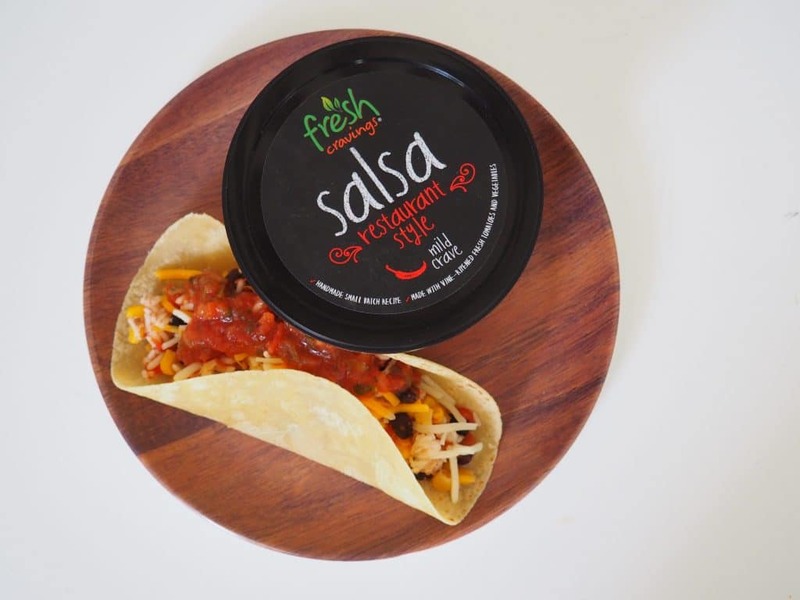 I like Fresh Cravings refrigerated salsa for a few reasons: the ingredients are all fresh, it’s never pasteurized and it tastes great! Preheat oven to 375. Place all 5 ingredients in a baking dish. Stir. Cover it and bake for 45-1 hour (depending on when the chicken is cooked through). Then for serving, we have it a few ways…. 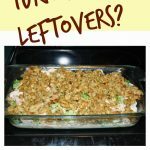 Nacho Night: my kids LOVE nachos for dinner… so I serve nachos (just cheese melted on chips) with a bowl of this casserole for them to dip. 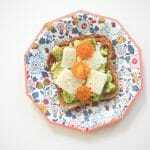 Easy dinner night! 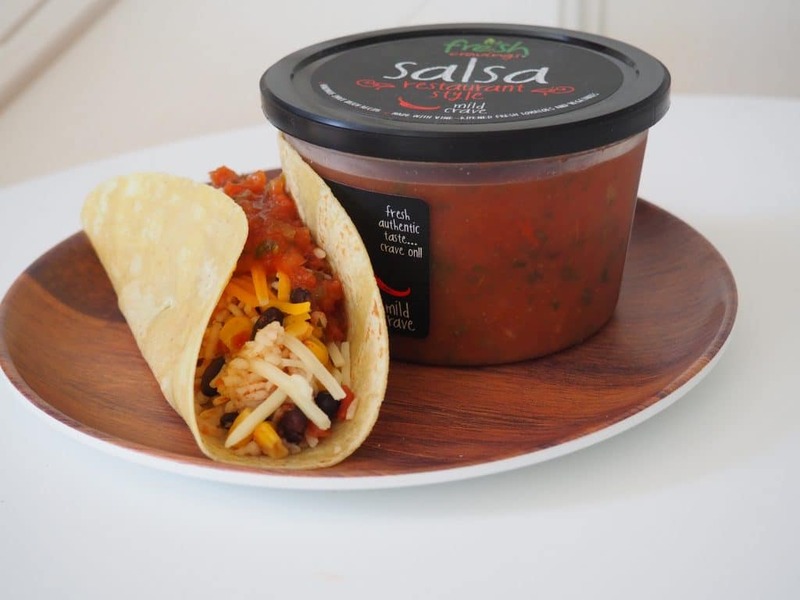 Fresh Cravings Salsa encourages everyone to #ThinkOutsideTheJar with their salsa choices! 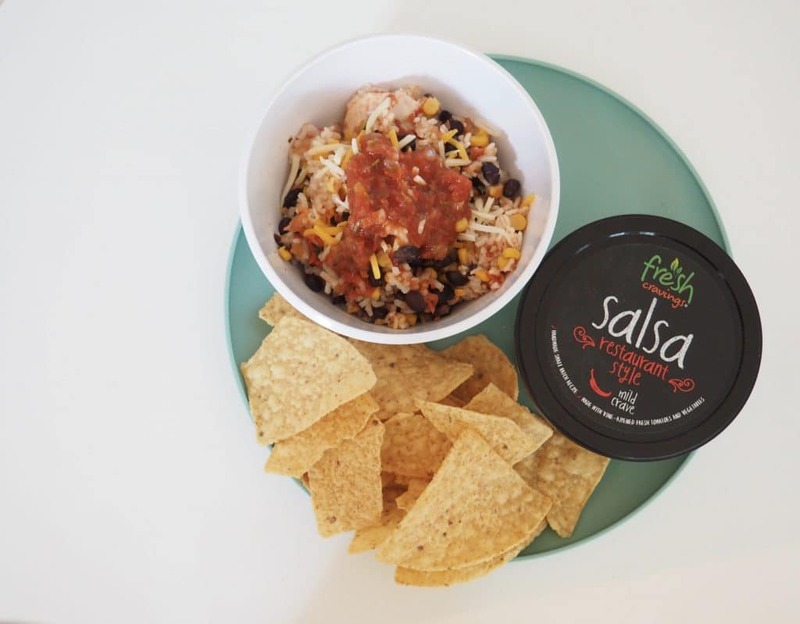 You can find their salsas in the chilled product section (near the bagged salads) at your local Walmart (our local Acme has it too). Click here to see where you can buy it near you. $0.50 bonus offer when buying both!